I do like this premium take on a classic. 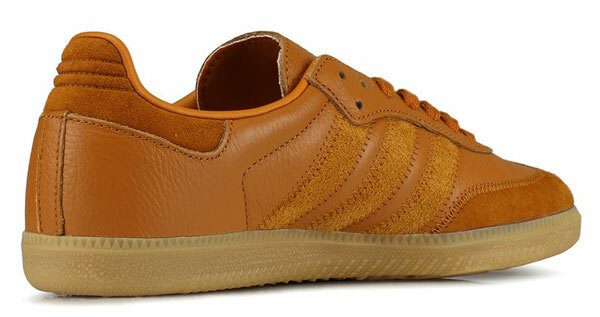 Or if you prefer, the Adidas Samba OG trainers in brown leather. It is a classic too. 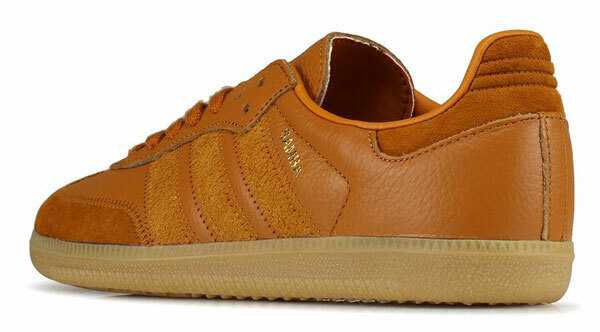 The Samba has been on the shelves pretty much consistently since the 1960s. The occasional tweak here and there – some successful, others not – but by and large, this is a timeless design and always a popular one. You can get various OG versions in classic finishes (black and white, white and black, blue stripes, brown stripes and so on), but this version, which I have only seen online at Hanon, is the one that caught my eye. Not for everyone I’m sure. If you are a traditionalist you probably want to stick to the above colour options. But if you want something a little more adventurous and with a premium look, have a look at this style. The little details here count. So you get as premium full grain leather in brown, some rich suede overlays and a nubuck t-toe. Love that stitching to the stripes as well. A rubber sole and an OrthoLite sockliner, of course. £75 is a couple of quid more expensive than the standard version, but for me, it’s worth it.